Why limit yourself to one batch size? 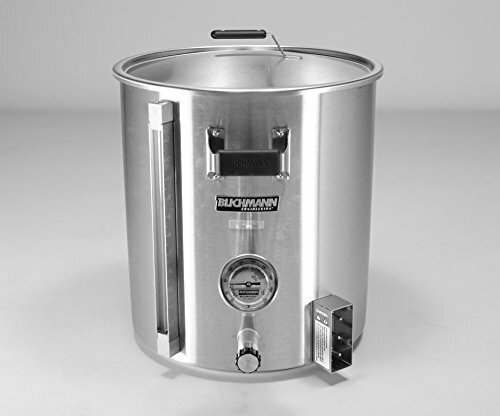 The 15-gallon MegaPot 1.2TM brew kettle can accommodate 5 or 10 gallon batches. This 15 gallon kettle allows plenty of space to boil up to 12 gallons of wort. Brew for yourself one day, then whip up a double-batch with a friend the next. This kettle can also serve as a mash tun for 5-7 gallon All-Grain batches using the optional false bottom. While it could handle some 10 gallon recipes, the size may limit the grain bill to low-gravity beers. 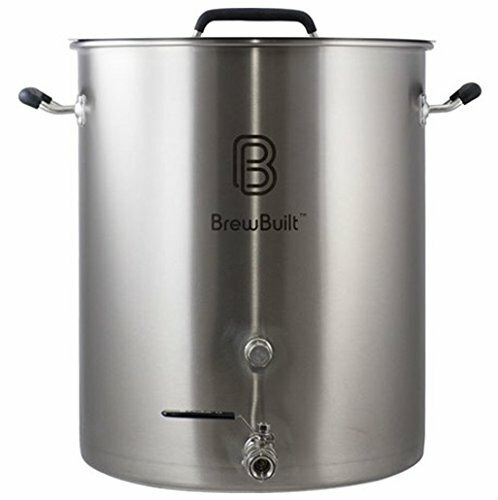 Ideal for: bringing 11-12 gallon batches to a full boil. Mash Tun for 5-7 gallon All Grain brewing. Hot Liquor Tank on 15-20 gallon All-Grain systems when paired with a larger mash tun and boil kettle. MegaPot 1.2TM is a stainless steel masterpiece, not just another stainless steel stock pot. Every detail has been thought through to enhance the homebrewing experience. The heart of the kettle is a 4mm thick Tri-Clad bottom- made specifically for even heat distribution. Graduated volume markings inside the kettle allow for easy volume measurements during the boil. 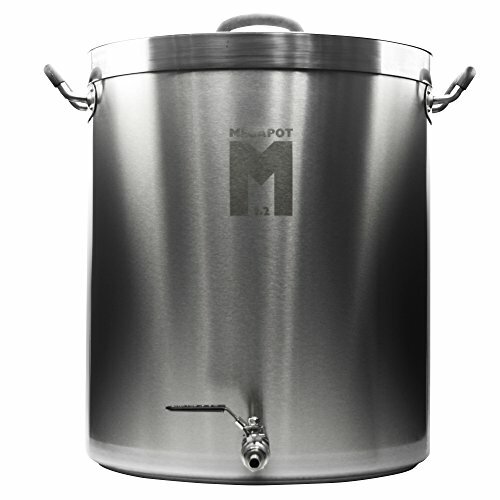 The 1.2 proportion of MegaPot has been scientifically designed to promote a vigorous boil and reduce off-flavors making it the ultimate home brew kettle. Includes a weld-less ball valve for easy liquid transfer. The BoilerMakerTM Electric Brew Pots come pre-punched for easy instillation of the included Blichmann BoilCoilTM immersion heater. Simply plug in a BoilCoilTM immersion heater to an Electric-Tower of PowerTM control module for immediate, high efficiency heat. Ideal for indoor brewing! The BoilerMakerTMG2 line of brew kettles is ideal for homebrewing - sacrificing neither features or quality and available in perfect sizes. Bare bones kettles might lure you in with attractive prices. But by the time you add extra equipment you need or want - all standard in the BoilerMakerTMG2 - you'll find these brew kettles are the best value and will be handed down for generations to come! All models carry a limited lifetime warranty.